What is a Proffer Agreement? - Oberheiden, P.C. When facing a federal investigation, your focus should be on obtaining the best possible outcome in light of the facts and circumstances at hand. If you are clearly innocent, this typically means using the available evidence to demonstrate that federal prosecutors do not have a case to take to court. However, if you are guilty, or if the government can potentially make a case that you violated federal law, this could mean negotiating a pre-trial resolution that minimizes the consequences of the investigation as much as possible. One way to do this is by seeking to enter into a proffer agreement. A proffer agreement is a written contract between the U.S. Attorney’s Office and a criminal defendant or the target of a criminal investigation. Under the terms of the agreement, the defendant or target agrees to provide useful information to the government, and in exchange the U.S. Attorney’s Office agrees not to use the information provided in the defendant or target’s federal case. However, while a proffer agreement may seem straightforward, there are a variety of considerations that may counsel against seeking a proffer under a variety of circumstances. The decision of whether to pursue a proffer is one that needs to be made very carefully and with the advice of an experienced federal defense attorney. Q: Which side drafts a proffer agreement, the prosecution or the defense? The U.S. Attorney’s Office drafts proffer agreements for targets’ and defendants’ review and signature. Although there is generally little room for negotiation, it is still imperative that anyone who is considering a proffer carefully review the agreement and make sure he or she has a clear understanding of what it means to sign such a document. Q: How can I seek a proffer agreement in my federal case? Proffer agreements can come about in one of two ways: The U.S. Attorney’s Office may seek to solicit information from someone who is facing the prospect of a federal indictment, or an individual who is at risk for going to trial on serious white-collar charges may seek the protections of a proffer agreement. In either case, it is critical not to simply provide information to the government and assume that a proffer agreement will follow. The proffer agreement should be signed up front, and the parties should have a clear mutual understanding of the purposes of their discussion. Q: Where do proffer meetings take place? Once you agree to a proffer, you will likely need to appear at the local U.S. Attorney’s Office to provide your testimony. If you have agreed to provide emails, business records, or other documents, you will need to bring the documents with you when you appear. Q: Am I entitled to legal representation during my proffer meeting? Yes, when you appear for your proffer, you are entitled to legal representation. Typically, the defendant or target and his or her attorney will meet with an Assistant United States Attorney and the federal agents involved in the government’s investigation. Having an experienced federal defense attorney present during your proffer meeting is critical. You need someone who is familiar with the process and who can advise you before you make mistakes that could jeopardize your defense. Q: What should (and shouldn’t) I say during a proffer meeting? During a proffer meeting, it is expected that you will answer the Assistant United States Attorney’s questions as honestly and completely as possible. Prior to the meeting, your attorney should engage in discussions with the U.S. Attorney’s Office regarding the scope and substance of your testimony, and you should be prepared to answer any questions that are reasonably anticipated. A proffer is a well-established and clearly-defined legal process. The government’s attorneys will expect you to be prepared, and you should expect to provide information (including potentially self-incriminating information) consistent with the terms of the proffer agreement. A proffer meeting is not the right time to attempt to hide information or mislead federal prosecutors. If you lie in your testimony, you could potentially face charges under Section 1001 of the federal criminal code for making a “materially false, fictitious, or fraudulent statement or representation” to the government. A charge under Section 1001 can carry a substantial fine and up to five years of federal imprisonment. 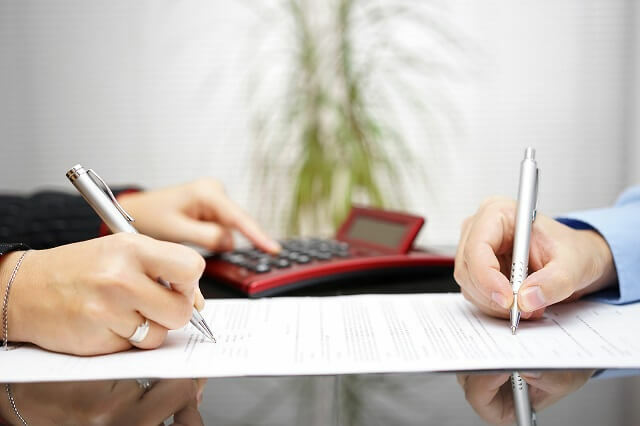 Q: Why should I consider a proffer agreement? The primary benefit of entering into a proffer agreement is that it can be a precursor to a favorable plea deal or an immunity agreement. If, after discussing your options with your legal counsel, pursuing a plea deal or immunity agreement appears to offer the most-favorable resolution to your case, approaching the idea of a proffer may be a necessary step. Before you agree to the proffer, your attorney will need to work with the U.S. Attorney’s Office in order to determine what outcome you can expect once you provide the information you agree to provide. In certain circumstances, a proffer meeting can also provide insight into the theory of the government’s case. If you are unclear on the nature of the government’s investigation and are not able to identify the allegations underlying the government’s inquiry through other means, the line of questioning during your proffer may provide the information you need to formulate your defense strategy. Entering into a proffer agreement also provides the benefit of being protected against having your testimony used against you. However, this benefit is limited, as we discuss below. Q: Why might I want to stay away from seeking a proffer? While a proffer is often a precursor to a plea deal or grant of immunity, the proffer itself is not either of these things. In fact, although the government cannot directly use your proffer testimony against you, there are still ways in which the information you provide could come back to haunt you in your federal case. First, if you provide information during a proffer and then provide inconsistent information at a subsequent stage in the proceedings, the government can use your proffer testimony for impeachment. Depending on the language of your proffer agreement, the government may also be able to use your proffer testimony for impeachment if any element of your defense strategy is inconsistent with your proffer. This has the potential to significantly impact your defense strategy, and it is something that needs to be considered when evaluating both the possibility and timing of entering into a proffer agreement. Second, in all cases, federal prosecutors can use proffer testimony to further their investigations, and any information “derived” indirectly from a proffer will be admissible in your case. In other words, if you provide information that the government uses to uncover more information from other sources, this additional information can be used against you in court. As a result, before agreeing to a proffer, it is critical to assess whether and to what extent the information you supply could end up providing the government with additional ammunition to use against you. Q: Can a proffer lead to criminal charges? Potentially, yes. If you supply the U.S. Attorney’s Office with information that it can use to uncover additional evidence, it is possible that your proffer could lead to federal charges even if you were not originally a target in the government’s investigation. Additionally, as noted above, if you lie during your proffer, you can face charges for providing false testimony regardless of the outcome of the substantive allegations involved. Once again, before agreeing to a proffer, you need to carefully weigh the potential costs and benefits, and you need to make an informed decision based upon a realistic assessment of the various factors at play. Q: Are proffer agreements available in all cases? No, as a baseline, proffer agreements are generally only an option in cases involving allegations of white-collar offenses. This includes federal crimes such as health care fraud, tax fraud, bank fraud, blackmail, and extortion. If you are being investigated or facing charges for a violent offense, a proffer agreement is not going to be on the table. Even in white-collar cases, the U.S. Attorney’s Office is only likely to agree to a proffer if it benefits the government’s case. If the government already has a strong case against you, or if it can obtain the same information through other channels, you likely will not be offered a proffer agreement. Q: What defense strategies can I pursue if I have entered a proffer and my case goes to trial? Oberheiden, P.C. is a national team of federal defense attorneys and former federal prosecutors who represent clients in white-collar cases. If you are under investigation or facing charges for a federal white-collar offense, you can call (888) 452-2503 or contact us online for a free consultation. Understanding Medicaid Fraud Penalties What is a Civil Investigative Demand (CID)?